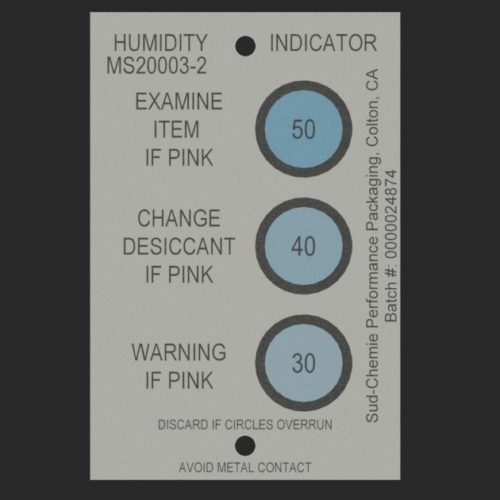 The MS20003-2 reversible humidity indicator card can be used in a variety of industries. 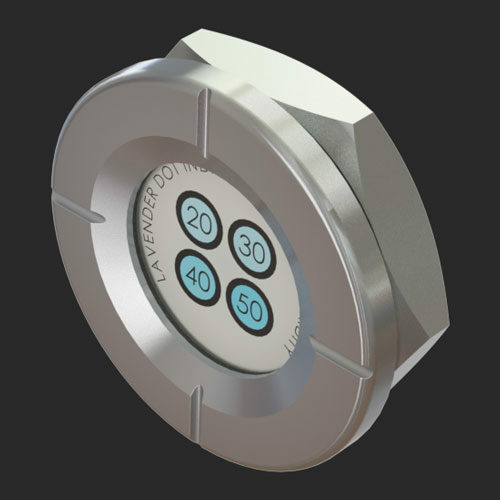 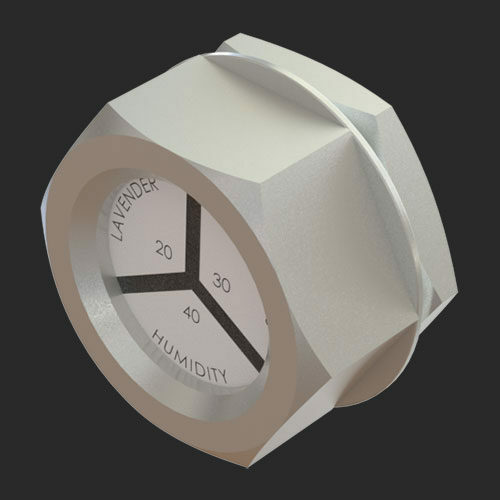 Being 2×3 inches in size, the MS20003-2 allows an accurate humidity level reading at a glance. 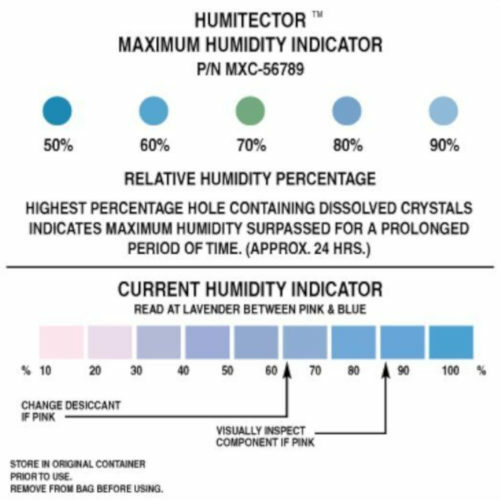 Read the card at lavender between pink and blue for the current humidity level. 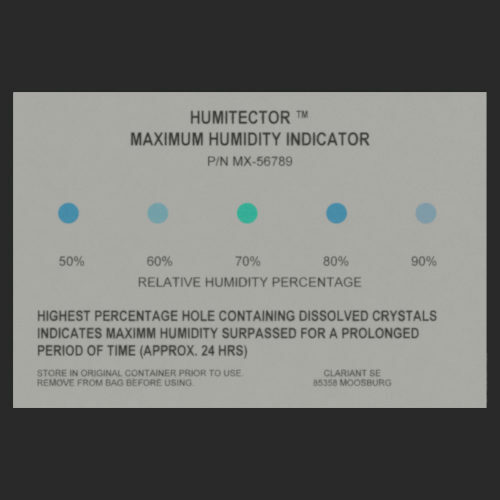 The spot color changes from blue to lavender to pink as the humidity level increases, and will return back to blue as humidity level decreases, making it fully reversible and reusable. 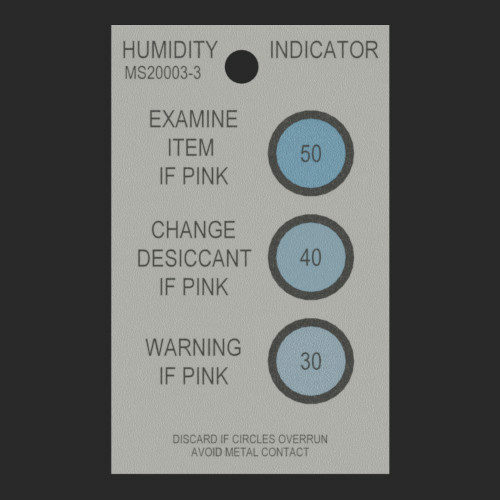 The MS20003-2 reversible humidity indicator card has an unopened shelf life of 5 years, which will decrease after its storage can is opened.